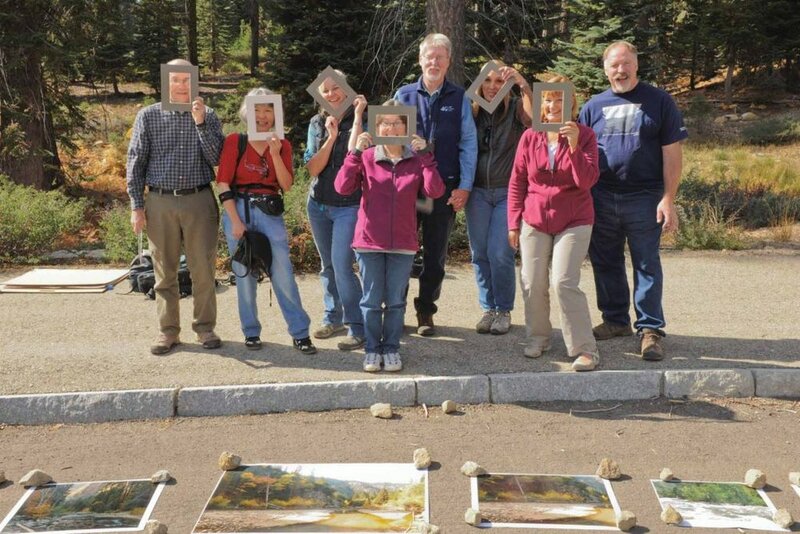 Photographer Jeff Jones held a two-day workshop geared to improve your eye for what you see in nature. The first day was an indoor class at the Wildling Museum where students will performed a number of hands-on exercises to improve their eye for composition. The group reviewed each exercise, and students learned from the perspectives of other students who wished to share. He talked about helpful compositional strategies to consider when framing a scene. The second day was a trip into the beautiful Los Padres National Forest where students put into practice the ideas discussed the previous day. Jeff Jones has been working on his photographic vision for 30 years, honing his craft primarily in the Sierra Nevada, Alaska, the mountains of Santa Barbara and Ventura Counties, and now eastern Oregon. He loves capturing panoramic scenes for their breadth of view, sense of depth, and beauty. In 2009 and 2015, the U.S. Fish and Wildlife Service commissioned Jeff to photograph Arctic and Kodiak National Wildlife Refuges in Alaska. This summer, he will undertake his third commission to photograph Becharof and Alaska Peninsula National Wildlife Refuges. Jeff and Laurie Hoyle, his wife, have mounted several touring exhibitions, and co-authored ‘Arctic Sanctuary: Images of the Arctic National Wildlife Refuge’ (University of Alaska Press, 2010). In addition to the Wildling Museum, their work has been exhibited in numerous galleries and museums including the Bell Museum of Natural History in Minneapolis, Denver Museum of Nature and Science, Oakland Museum of California, Bruce Museum (Greenwich CT), the Santa Barbara Museum of Natural History, and the Corridan Gallery. As part of its 75th anniversary celebration, the Kodiak National Wildlife Refuge in 2016 displayed a selection of Jeff’s commission work at the Kodiak Visitors Center in Kodiak. View all of his work at www.lumnos.com.